“Extreme Green” If you’re extremely conscious of your carbon footprint and want to do everything possible to minimize the large amount of waste that usually accumulates at the end of any special event, here are some tips for you: Use materials that can be reused, recycled, or composted. Tableware: If you cannot afford (or do not want to clean afterwards – If your caterer won’t supply them) real china, glassware, and silverware, you have some disposable eco-conscious options that include: bamboo, biodegradable, and recyclable products. You would want to refrain from using plastic, non-recyclable paper, and of course Styrofoam! 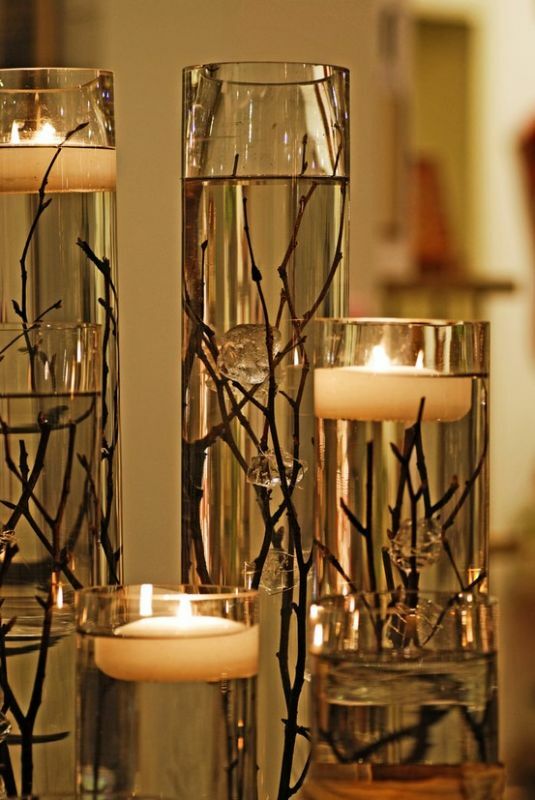 Decoration: Reusing decorations from past events, or renting decorations, linens, centerpieces, etc. from vendors helps reduce potential waste as well. Some specialty shops offer biodegradable paper decorations or decorations madefrom recycled products. Invitation Suites: Seed paper, paper that is biodegradable and embedded plant or flower seeds that can be planted and grown, has become trendy for its use in save the dates, invitations, programs, and place cards. Balsa wood has is also a trendy medium for invitation suites. It is a natural element on its own and with little to no effort can be the perfect added touch to a natural event. 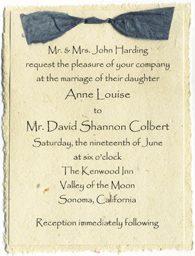 Of course, if you’re going to be creative enough to use wood invitations, you might as well be creative in engineering a custom suite suited to your event. This airplane save the date is a cute touch, and can be easily adapted to become an invitation to a child’s birthday party. Vintage: By using vintage or thrift items, you’re not only displaying a vintage aesthetic, but also saving money and avoiding buying brand new items that will, in most circumstances, be thrown away afterwards. Mason jars, spaghetti jars, and assorted bottles are a great substitute for vases, and are also very on trend right now. Also, picture frames are a great thrift purchase! Say, if you wanted to setup a family tree portrait area, use the frames for table numbers, directional signs, or catering menu (there are countless ways to incorporate frames into any event), vintage frames are likely going to be cheaper, sturdier, and more decorative than new frames. Plus, vintage adds a lot of character to your event. Floral: Use seasonal flowers! 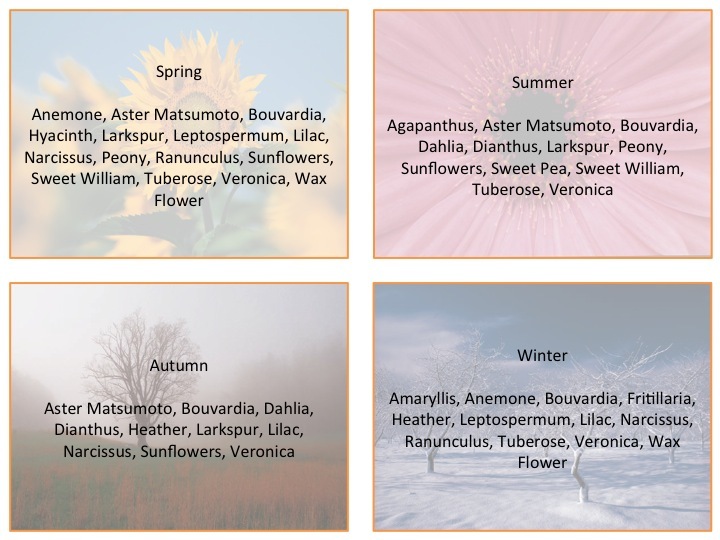 Using what is in season increases the likelihood that the flowers you choose will be available, better looking, and less expensive than it would be to order out-of-season flowers. 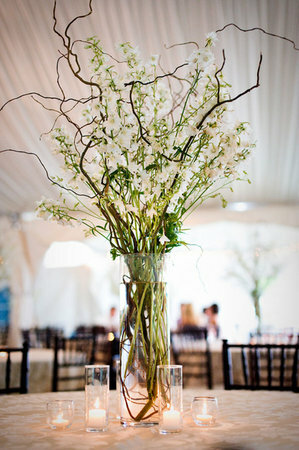 Incorporate other natural elements into your flower arrangements, or opt out of flowers altogether. 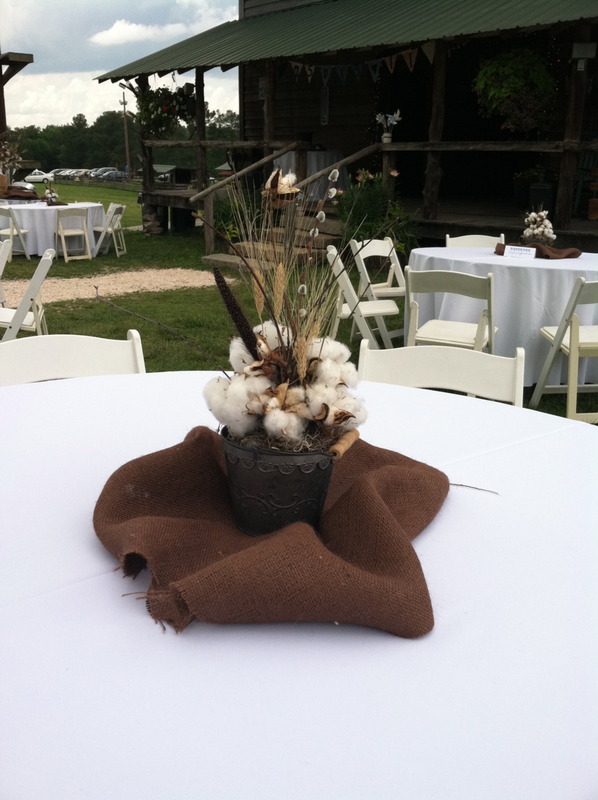 Cotton: Wheat and cotton are great summer to fall transition pieces. 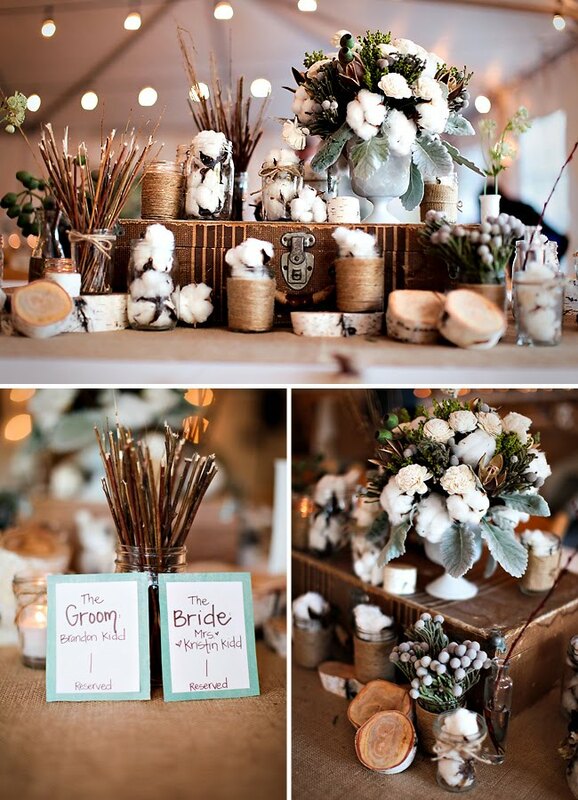 Bunch burlap underneath, and you’ve got a natural, rustic, and very simple centerpiece branches add interest and, in some circumstances, height. Wrap your vase (or mason jar!) with Butcher’s paper and twine for a rustic look, or use a tall vase filled with apples (or any other small fruit or moss filling) and top your floral arrangement with very tall curly willow. Bamboo is another great option to increase the height of a floral arrangement, it can also be used to enhance an Asian or tropical theme. Branches: Curly Willow and/or branches add interest and, in some circumstances, height. Wrap your vase (or mason jar!) with Butcher’s paper and twine for a rustic look, or use a tall vase filled with apples (or any other small fruit or moss filling) and top your floral arrangement with very tall curly willow. Bamboo is another great option to increase the height of a floral arrangement, it can also be used to enhance an Asian or tropical theme.